If you love grit, heart, and drama in your Olympic sports, then rowing could be for you, but it's important to understand the basics. 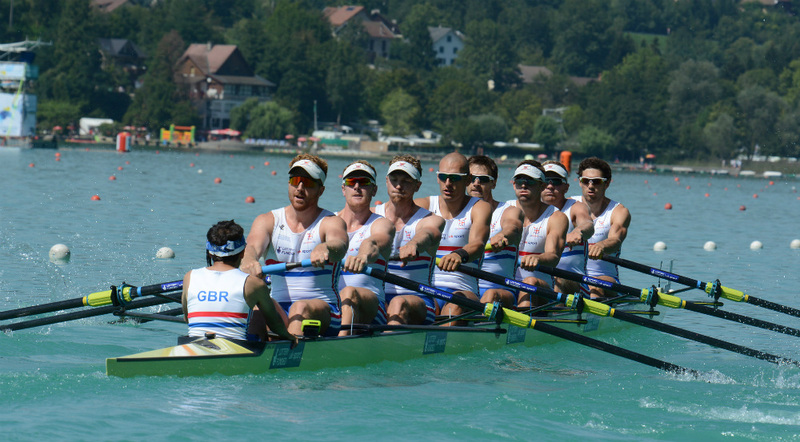 Great Britain's Men's Eight at the 2015 world championships. 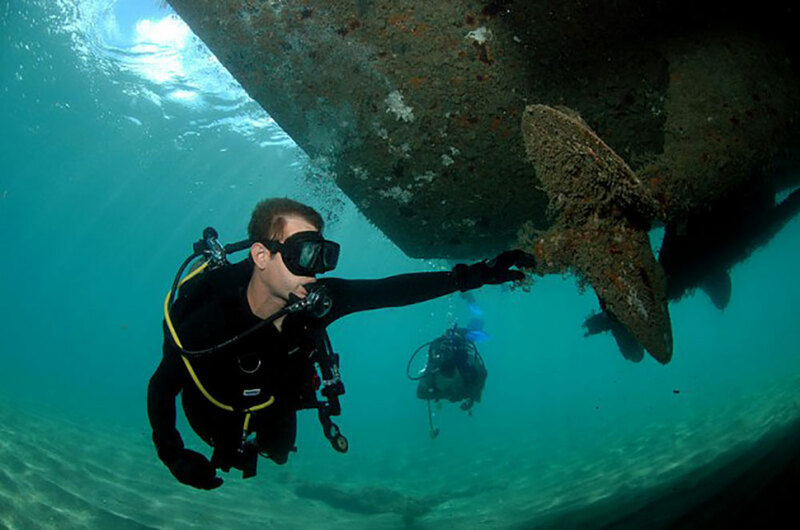 You're sitting very still in the bow of a boat that's almost 18.5 metres (60ft) long and just 60cm wide. The boat is made mostly of carbon-fibre composite. Empty, it weighs only about 90kg (200lbs), but right now it's loaded with you and eight of your colleagues. You’re facing aft, looking at someone’s back. The backwards-facing single file continues for about 40 feet until it reaches one forward-facing person. This person, the coxswain, is smaller than the rest of you, is wearing a headset, and is trying to keep track of a bunch of variables in these few moments before the start of your race. You're holding the handle of an oar that's over 3.5m (12ft) long. You're sitting on a seat that slides back and forth, and your feet are strapped in place. You and all your colleagues are extremely fit, and that's a good thing, because you intend to row this boat in a straight line for 2,000 metres as fast as it can be rowed, which might approach 14 miles per hour. Along the way, even though you and your friends are paragons of aerobic capacity and strength, you will row yourself out of your stored oxygen and the ability of your lungs to replenish it fast enough; you'll row past the anaerobic threshold and into a world of lactic acid buildup, muscle pain, crushing fatigue, and psychological doubt. You will exist in that hellish world for most of the six minutes or so that it takes to cover the 2,000 metres. That's if everything goes just right. Sounds like fun? "Ready all? Row!" The coxswain never yells "Stroke, stroke!" Logo above courtesy of rio2016.com. Rowing, of course, has been around just about as long as boats have existed, and since the day someone figured out that more power can be applied to the water by facing backward and using a pivot to lever the boat forward than by facing the bow and paddling. Aside from suiting the purposes of ancient warfare and trade, rowing has been a sport for centuries almost anywhere people have needed to row, from 13th-century Venice to the the River Thames. Modern rowing clubs and intercollegiate rowing have been around nearly 200 years, and some rivalries are legendary — Oxford vs. Cambridge being the most famous. Rowing (just like Olympic Sailing) has been an Olympic sport since the modern games started in 1896. Famous rowers have included Dr. Benjamin Spock (who won an Olympic gold medal), Gregory Peck, Hugh Laurie, and Bradley Cooper. The Boys in the Boat, Daniel Brown’s story of the 1936 University of Washington crew who took Olympic Gold away from Hitler’s Germany, has been a bestselling book and is in development as a movie. Jack Kelly, Grace Kelly's father, was rejected by the Henley Royal Regatta in 1920 for having been a bricklayer, but went on to win the gold medal in single sculls at that year's Olympics. Photo courtesy of U. Pennsylvania/Wikipedia. 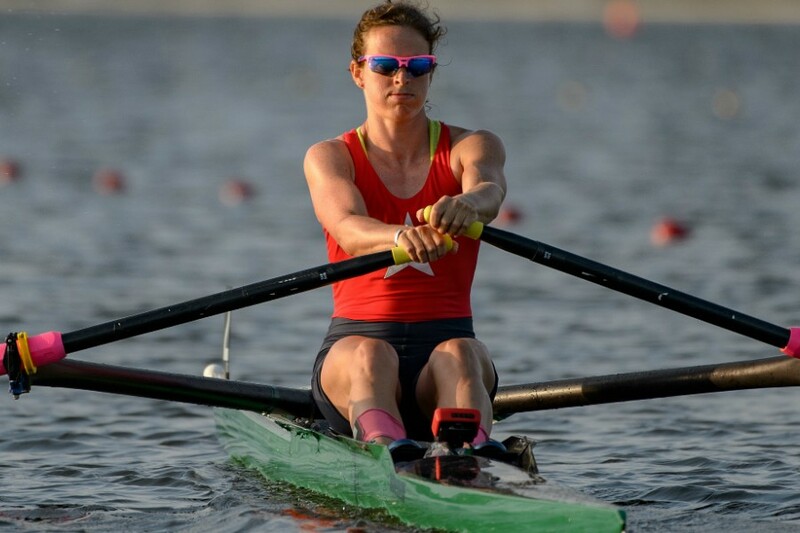 Unlike the athletes in some Olympic sports, most modern rowers have been and still are amateurs — they have careers to maintain outside the sport, from medicine and law to teaching and skilled trades. 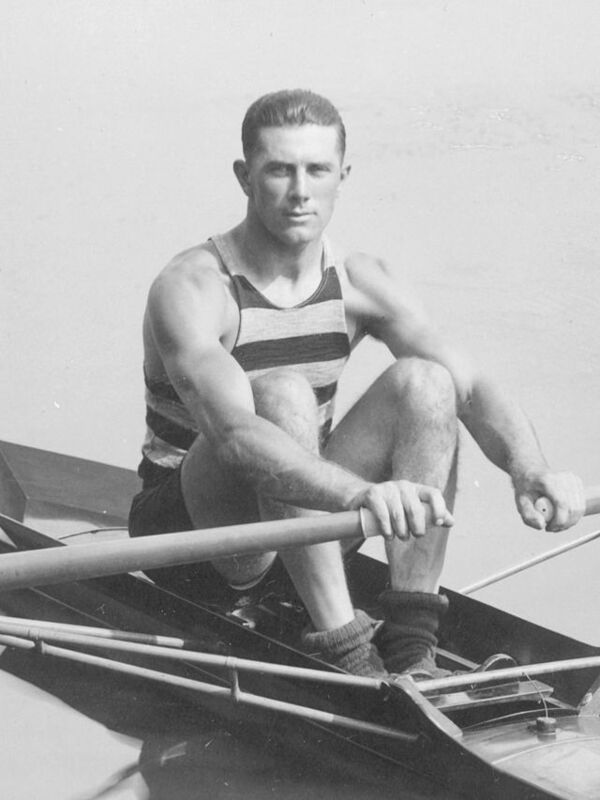 In fact Jack Kelly, father of Grace Kelly, was scandalously rejected from the Henley Royal Regatta in 1920 because he had been a tradesman — a bricklayer — but went on to win the first of his three Olympic gold medals in single sculls at that summer’s games in Antwerp, Belgium. Most spectators think of rowing in terms of the two ends of spectrum — eight rowers at one end or a solitary rower at the other. In fact, there is a fleet of configurations, each of which is defined by the type and number of oars in the boat. A big oar pulled by one person is called a sweep. A smaller oar, one of a pair, is called a scull. Boats powered by sweeps are generally called shells; boats powered by sculls are called sculls. Here’s the rundown, from big to small. When you go to the Olympics with this fleet of competitors and alternates, it makes for a big contingent — 48 people in this case, the third largest contingent in the summer games. Let’s take a closer look at the two ends of the spectrum — eights and single sculls. The biggest shell is powered by eight sweeps and steered by the coxswain in the stern. The rowers are identified by their seat and oar numbers between the Bow oar and the Stroke oar, so it’s Bow-2-3-4-5-6-7-Stroke. The rowers at Bow and 2 are usually a bit smaller than the others in the boat, while 3,4,5, and 6 are often bigger. Those four seats are sometimes called the ‘engine room’ in an eight. 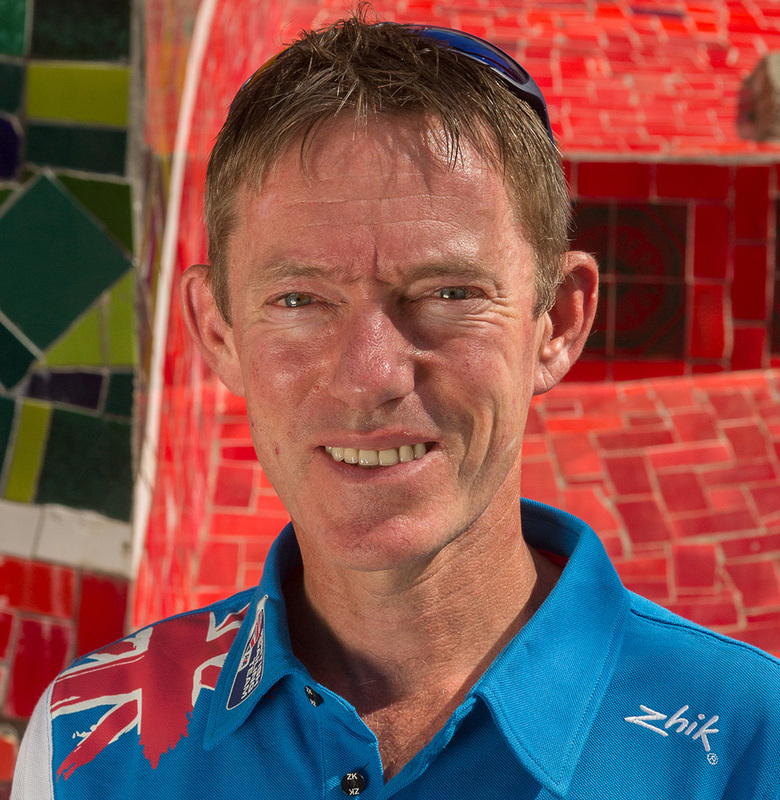 The Stroke sits directly facing the cox, and is responsible for setting the stroke rate for the whole boat according to the race plan and the tactics of the cox. The 7 oar follows the stroke exactly and “translates” the rate all the way forward. The oar positions are generally staggered evenly, and can start their order from either the port or starboard side. Depending on the physical makeup of the crew the boat may also be set up with two oars together on one side. The single scull demands precise balance and timing, and the sculler handles all the racecourse chores alone. At the other end of the fleet sits the single sculler — that solitary figure holding the handles of two sculls above a fragile shell that’s about 7.5m–8m long (25ft–27ft), 30cm wide and weighs less than a foot or so wide, and weighs around 18kg (less than 40 pounds). 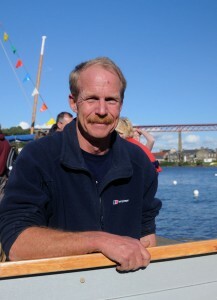 This sculler does the rowing, steering, and tactics all alone. Although balance, accuracy of motion, and rhythm are important in all shells, the smaller the shell the more important they all are — and the single is the smallest and most sensitive to mistakes. 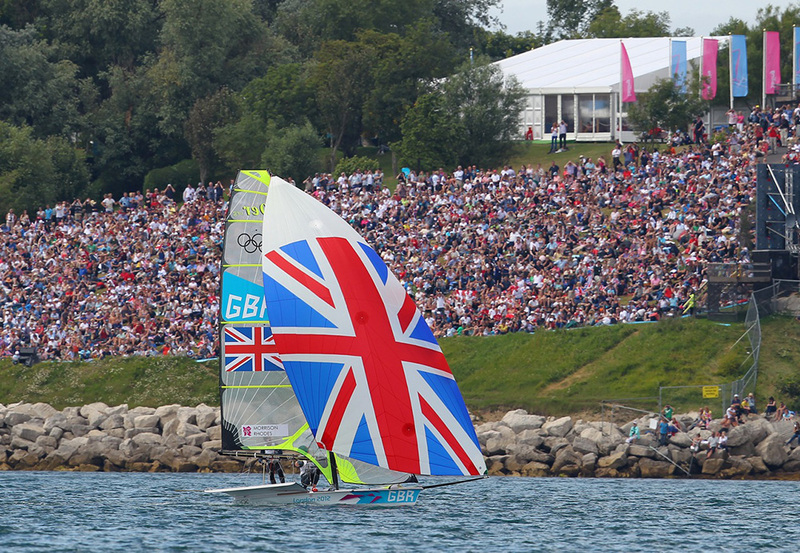 At the Olympics everyone rows the same course: 2,000 metres in a straight line with buoyed lanes. Elite male heavyweight rowers tend to be well over 1.8m (6ft) tall — some are over 2.0m (6ft 8in) — and from 86kg–104kg (190lbs–230lbs). They’re lean-muscled, not usually bulky. Lightweight men are also tall, but must be under 72.5kg (around 160lbs) at weigh-in for competition (and the crew must average no more than 70kg / 154.3lbs). Women rowers are also often over 1.8m (6ft). People unfamiliar with rowing usually assume that it’s an arm-intensive sport, but sliding seats mean that around 70 per cent of a rower’s power comes from the legs; the rest is split between the back and the arms. There are differences in Paralympic rowing, which was introduced at the Beijing Olympics in 2008, expanding high-level competition for people with disabilities. That last ability — sensitivity to team coordination — is a dry way of describing a rower’s ability to combine his or her effort and concentration with the other people in the shell. When rowers know each other well, and have practiced together for many miles, sometimes that mutual sensitivity combines to form a synergy that produces an exceptional sensation of smooth power — the elusive “swing” that’s present in the best racing crews. Swing translates to extra speed and less pain (or at least pain that is more bearable), and can create margins of victory from inches to boat lengths. Swing can and often does allow a less physically imposing crew to vanquish a bigger, apparently fitter crew that should logically come out ahead. A boat with swing is confident, fast, and hard to beat. 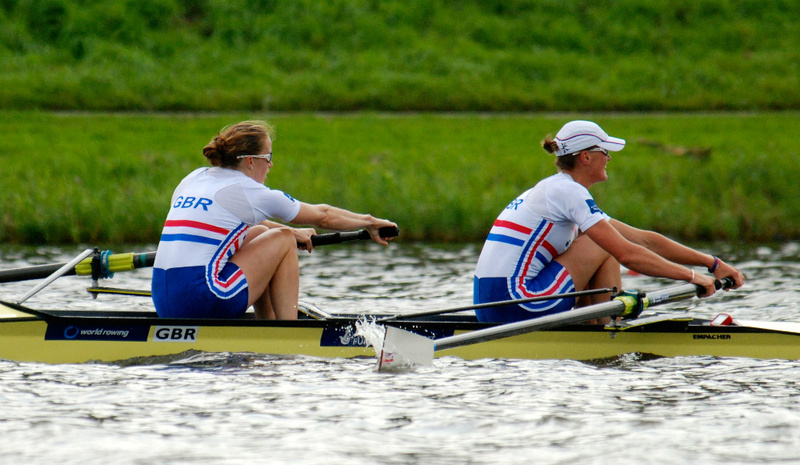 Great Britain's Women's Pair (-) in the 2014 World Rowing Championships. Rowing sweeps in a pair requires great balance and harmony between the rowers. All eights and some fours and pairs carry coxswains. (The word comes from Norse and Old English, and means something close to ‘small-boat servant.’) The cox steers and manages race tactics, calling for extra power and different stroke rates during the race, either to break away from a competitor or ward off a passing attempt. Some coxswains are very good not only at inspiring their own crews, but at intimidating or psyching out crews alongside. They are also tuned in to the overall state of energy or exhaustion in the boat, and know when individual rowers might be losing strength, heart, or precision — or even be so pumped up that they’re upsetting the swing with raw power. Who’s fast ahead of the 2016 Olympics? 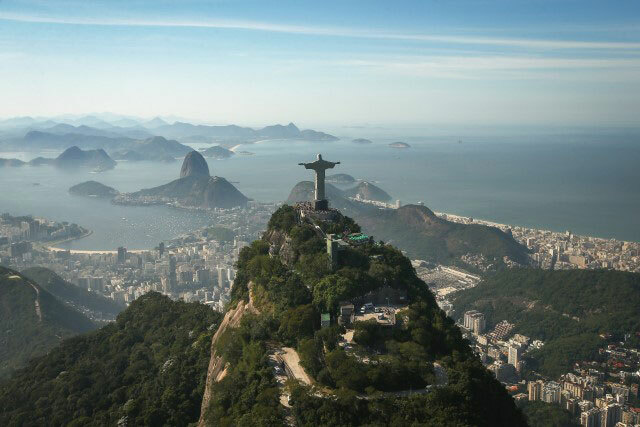 The rowing events in the 2016 Olympic Games will be held at the Lagoa Stadium on Rodrigo de Freitas Lake in Rio de Janeiro, August 6-13. Stay tuned to boats.com for updates as we near the Games. 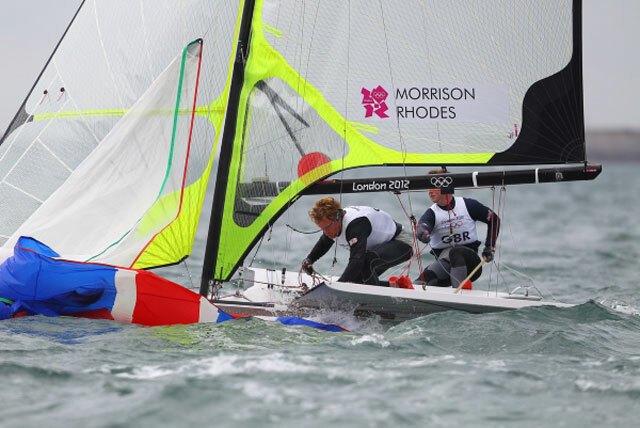 For more Olympic preview features, see our in-depth guide to Olympic sailing or some of the athletes' individual profiles, including 470 women's skipper Hannah Mills and one of UK Sailing's most exciting medal prospects, Giles Scott – current Finn class world champion.